Lalande de Pomerol lies just north of Pomerol across the little Barbanne stream. The soils are richer here with more clay and a cooler climate due to the proximity to the Dordogne River. Until 1928, wine growers here could label their wines as Pomerol but when the boundaries were created, this was no longer possible. The official appellation was granted in 1954. The top wines from this appellation can still rival the wines of Pomerol, especially those grown in the sandy soils near the town of Libourne. Like Pomerol, the principal variety is Merlot here (75% of the planted vineyard) and the best vineyards are found in the commune of Néac, whose church spire can be seen for miles around. Here deep soils of clay and gravel provide very good growing conditions. With almost 1, 100 hectares of vines in the appellation it is a little larger than Pomerol. Lalande de Pomerol has some well-known estates and several of Bordeaux’s most famous Right Bank producers have vineyards here. Only 800 cases were made this year so our allocation of this wine has been halfed as a result of the frost. Made from a blend of 80% Merlot and 20% Cabernet Franc, the wine is deep purple crimson in colour, bright, fruity and plummy. It has black fruit flavours, a lifted, fresh texture, nice balance and weight, and slightly chewy tannins. Well-made. We always love this wine that is so well-made, approachable and enjoyable that it has become a great success for us. Made by the talented Denis Durantou of Eglise Clinet fame, from a blend of 80% Merlot and 20% Cabernet Franc. 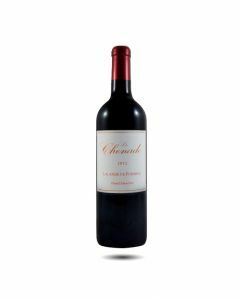 Medium bodied with sweet aromas of cherries, vanilla and spice, the wine is round and smooth with good lush fruit, ripeness and length. Delicious already. Fresh and spicy on the nose with black fruit aromas. The palate is bright, pretty with notes of liquorice, cloves blended with autumn fruits. Well-structured with a smokey and oaked finish. Produced from a blend of 80% Merlot and 20% Cabernet Franc - this wine has a lovely depth, bright ruby colour and subtle aromas of black morello cherries on the nose. On the palate is lively and very fresh. Matured in 30% new oak barrels which imparts a fine struture. The finish is vibrant, bright and juicy. In summary, a lovely little wine.